In early 1882 in Vienna he gave the first performance of his Violin Concerto in D minor, playing a piano reduction of the orchestral part himself, with his teacher Benno Walter as soloist. The same year he entered Ludwig Maximilian University of Munich, where he studied philosophy and art history, but not music. He left a year later to go to Berlin, where he studied briefly before securing a post as assistant conductor to Hans von Bülow, who had been enormously impressed by the young composer's Serenade for wind instruments, composed when he was only 16 years of age. Strauss learned the art of conducting by observing Bülow in rehearsal. 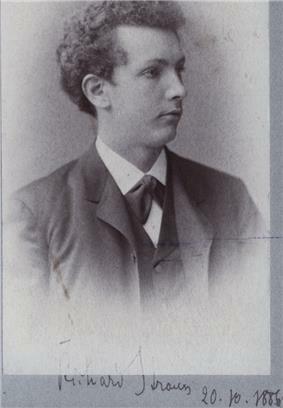 Bülow was very fond of the young man and decided that Strauss should be his successor as conductor of the Meiningen Court Orchestra when Bülow resigned in 1885. Strauss's compositions at this time were indebted to the style of Robert Schumann or Felix Mendelssohn, true to his father's teachings. His Horn Concerto No. 1, Op. 11, is representative of this period and is a staple of modern horn repertoire. Some of Strauss's first compositions were solo and chamber works. These pieces include early compositions for piano solo in a conservative harmonic style, many of which are lost; two piano trios (1877 and 1878); a string quartet (1881); a Piano Sonata (1882); a cello sonata (1882); a piano quartet (1885); a Violin Sonata in E flat (1888) as well as a Serenade (1882) and a longer Suite (1884), both scored for double wind quintet plus two additional horns and contrabassoon. After 1890 Strauss composed very infrequently for chamber groups, his energies being almost completely absorbed with large-scale orchestral works and operas. Four of his chamber pieces are actually arrangements of portions of his operas, including the Daphne-Etude for solo violin and the String Sextet, which is the overture to his final opera Capriccio. His last independent chamber work, an Allegretto in E major for violin and piano, dates from 1948. He also composed two large-scale works for wind ensemble during this period: Sonatina No. 1 "From an Invalid's Workshop" (1943) and Sonatina No. 2 "Happy Workshop" (1946)—both scored for double wind quintet plus two additional horns, a third clarinet in C, bassett horn, bass clarinet, and contabassoon. Strauss's style began to truly develop and change when, in 1885, he met Alexander Ritter, a noted composer and violinist, and the husband of one of Richard Wagner's nieces. It was Ritter who persuaded Strauss to abandon the conservative style of his youth and begin writing tone poems. He also introduced Strauss to the essays of Wagner and the writings of Arthur Schopenhauer. Strauss went on to conduct one of Ritter's operas, and at Strauss's request Ritter later wrote a poem describing the events depicted in Strauss's tone poem Death and Transfiguration. Strauss's output of works for solo instrument or instruments with orchestra was fairly extensive. The most famous include two concertos for horn, which are still part of the standard repertoire of most horn soloists; a Violin Concerto in D minor; the Burleske for piano and orchestra; the tone poem Don Quixote for cello, viola and orchestra; the well-known late Oboe Concerto in D major; and the Duett-Concertino for clarinet and bassoon with string orchestra, which was one of his last works (1948). Strauss's next opera was Elektra (1909), which took his use of dissonance even further, in particular with the Elektra chord. 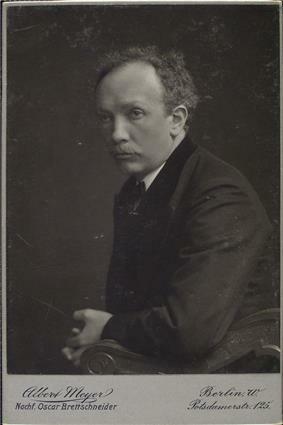 Elektra was also the first opera in which Strauss collaborated with the poet Hugo von Hofmannsthal. The two subsequently worked together on numerous occasions. For his later works with Hofmannsthal, Strauss moderated his harmonic language: he used a more lush, melodic late-Romantic style based on Wagnerian chromatic harmonies that he had used in his tone poems, with much less dissonance, and exhibiting immense virtuosity in orchestral writing and tone color. This resulted in operas such as Der Rosenkavalier (1911) having great public success. 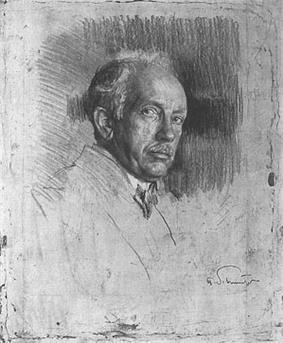 Strauss continued to produce operas at regular intervals until 1942. 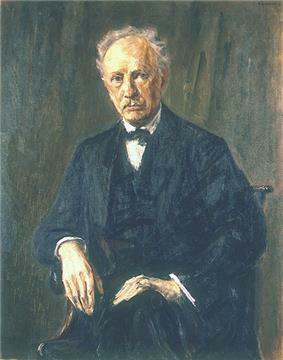 With Hofmannsthal he created Ariadne auf Naxos (1912), Die Frau ohne Schatten (1919), Die ägyptische Helena (1928), and Arabella (1933). For Intermezzo (1924) Strauss provided his own libretto. Die schweigsame Frau (1935), was composed with Stefan Zweig as librettist; Friedenstag (1935–6) and Daphne (1937) both had a libretto by Joseph Gregor and Stefan Zweig; and Die Liebe der Danae (1940) was with Joseph Gregor. Strauss's final opera, Capriccio (1942), had a libretto by Clemens Krauss, although the genesis for it came from Stefan Zweig and Joseph Gregor. According to statistics compiled by Operabase, in number of operas performed worldwide over the five seasons from 2008/09 to 2012/13, Strauss was the second most-performed 20th-century opera composer; Giacomo Puccini was the first and Benjamin Britten the third. Strauss tied with Handel as the eighth most-performed opera composer from any century over those five seasons. Over the five seasons from 2008/09 to 2012/13, Strauss's top five most-performed operas were Salome, Ariadne auf Naxos, Der Rosenkavalier, Elektra, and Die Frau ohne Schatten. All his life Strauss produced Lieder. The Four Last Songs are among his best known, along with "Heimliche Aufforderung", "Traum durch die Dämmerung", and others. 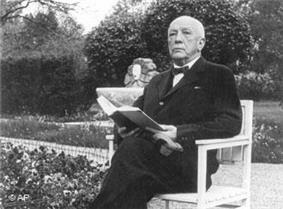 In 1948, Strauss wrote his last work, the Four Last Songs for soprano and orchestra. He reportedly composed them with Kirsten Flagstad in mind and she gave the first performance, which was recorded. Strauss's songs have always been popular with audiences and performers, and are generally considered by musicologists—along with many of his other compositions—to be masterpieces. 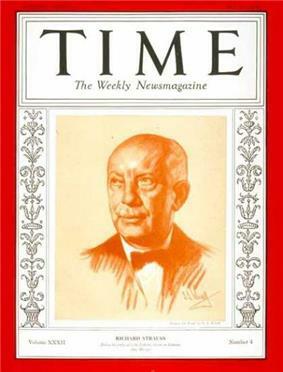 In March 1933, when Strauss was 68, Adolf Hitler and the Nazi Party rose to power. Strauss never joined the Nazi party and studiously avoided Nazi forms of greeting. For reasons of expediency, however, he was initially drawn into cooperating with the early Nazi regime in the hope that Hitler—an ardent Wagnerian and music lover who had admired Strauss's work since viewing Salome in 1907—would promote German art and culture. 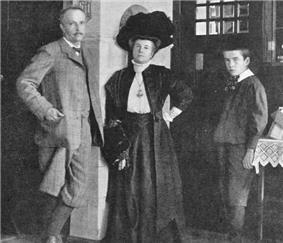 Strauss's need to protect his Jewish daughter-in-law and Jewish grandchildren also motivated his behavior, in addition to his determination to preserve and conduct the music of banned composers such as Mahler and Debussy. Strauss privately scorned Goebbels and called him "a pipsqueak." However, in 1933 he dedicated an orchestral song, "Das Bächlein" ("The Little Brook"), to Goebbels, in order to gain his cooperation in extending German music copyright laws from 30 years to 50 years. ^ McGlaughlin, Bill. Exploring Music, Episode 5 of 5 of "Richard Strauss", first aired January 9, 2004. In 1944, Strauss celebrated his 80th birthday and conducted the Vienna Philharmonic in recordings of his own major orchestral works, as well as his seldom-heard Schlagobers (Whipped Cream) ballet music. Some find more feeling in these performances than in Strauss's earlier recordings, which were recorded on the Magnetophon tape recording equipment. Vanguard Records later issued the recordings on LPs. Some of these recordings have been reissued on CD by Preiser. During his lifetime Strauss was considered the greatest composer of the first half of the 20th century and his music had a profound influence on the development of 20th-century music. 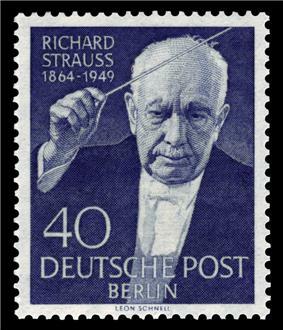 There were few 20th-century composers who compared with Strauss in terms of orchestral imagination, and he made a significant contribution to the history of post-Wagnerian opera. Strauss's late works, modelled on "the divine Mozart at the end of a life full of thankfulness," are widely considered the greatest works by any octogenarian composer.